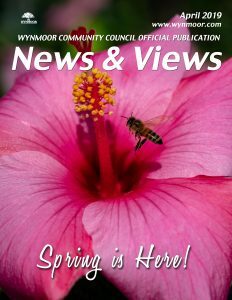 The News and Views is Wynmoor Community Council’s Official Publication. The monthly publication includes upcoming Theatre Shows, Recreation Trips/Events, Department updates, Club updates and much more. Find out what’s new at Wynmoor. Term of contract is 6 months at a cost of $225.00 per month payable in 2 month increments of $450.00 each for a one half page ad (8-1/2” x 5-1/2”);cost for a full page ad (8-1/2” x 11”) is $400.00 per month payable in 2 month increments of $800.00 each. First payment is due upon contract signing. Ad copy must be directed to News & Views editor at moriahj@wynmoorcc.org no later than the 10th of the month for the following month; ad may be revised each month if desired. All changes must be received by the 10th of the month and payment is due on the 10th for the following month as well. Further questions may be directed to loisd@wynmoorcc.org . All Club submissions are for Wynmoor Clubs Only. Club submissions are due the 1st of the month for the following month. All club submissions should be sent to moriahj@wynmoorcc.org. Living in Wynmoor you will always have something to do. Our monthly activity schedule includes both Council and Club events.